Add some luck to your space with this fun Lucky Cat Tin Sign! 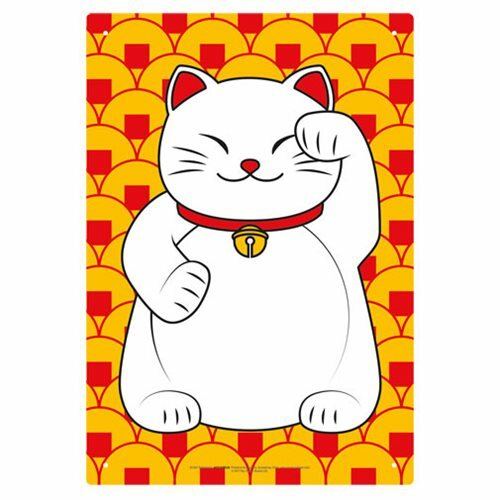 This Lucky Cat Tin Sign will be a great addition to any room. Measures 8-inches long x 11 1/2-inches tall. Ages 14 and up.